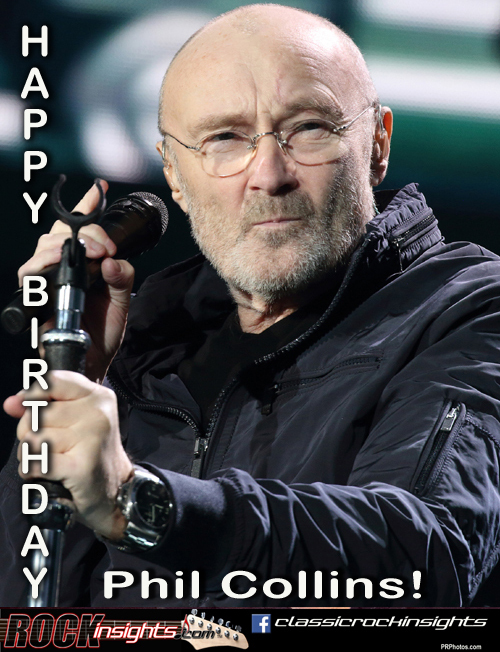 A birthday today for a guy loved and scorned, depending largely on whether you preferred the early, boundary pushing art/prog period of Genesis or the chart climbing juggernaut the group became in the 80's. Phillip David Charles Collins was born on this day in 1951. He joined Genesis after seeing a classified ad for a drummer in a 1970 edition Melody Maker and auditioning for the gig at Peter Gabriel's parent's house. When Gabriel left the group at the end of the summer in 1975, Collins assumed the lead vocal role as they began recording 1976's Trick Of The Tail album. The end of 1977 saw Steve Hackett depart, leaving the remaining members free to steer in a the more pop direction that 1978's And Then There Were Three release heralded. The mass appeal pivot introduced them to a much broader audience but cost Genesis the bond they had with droves of early fans.